Once known as the “Playground of the South,” Galveston Island has been a prime destination for beachgoers for over 100 years. These days, it’s the combination of Victorian mansions, museums, amusement parks and miles of soft-sand beaches that keeps visitors returning year after year to this classic Gulf Coast retreat. Thirty-two miles of beachfront is the island’s biggest draw, but there’s much more to Galveston than just catching a tan. Galveston Island State Park features four miles of trails through dunes and marshes that are perfect for hiking and biking, and the bayside waterways are ideal for canoeing and kayaking. Ranked as one of the top 10 saltwater fishing cities in the country, Galveston offers both deep-sea anglers and shore fishermen the chance to hook redfish, flounder, wahoo, tuna and more in the Gulf’s rich waters. 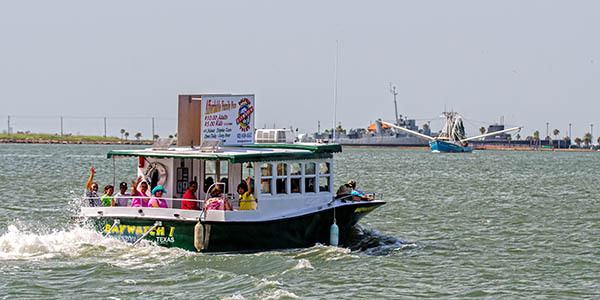 Head over to the Galveston Yacht Basin to charter a boat and find an expert guide to suit your needs. Birders, too, will have something look forward to in Galveston, one of the top spots in the country for observing migratory species. The boardwalk nature trails in Brazoria National Wildlife Refuge will reward explorers with possible glimpses of the famed sandhill cranes that arrive in the area during winter. 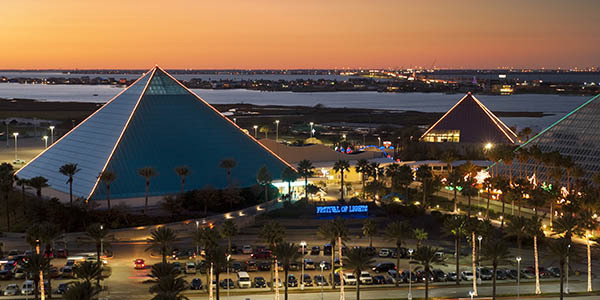 It’s hard to miss the colossal glass pyramids of Moody Gardens, where eco-minded visitors can explore a rainforest exhibit with free-roaming monkeys and sloths, soar on a zip line or catch a glimpse of life under the sea in the one-of-a-kind aquarium pyramid. If that’s not adventurous enough for you, there’s always the Schlitterbahn Galveston Island Waterpark, home to MASSIV, the world’s tallest water coaster. Seawolf Park on Galveston’s Pelican Island is a fishing pier, beachfront playground and site of World War II-era USS Cavalla submarine and USS Stewart destroyer. Tours are available.